Since 1982, Richard has built an outstanding career in the Real Estate industry. He joined Perimeter Commercial Real Estate (PCRE) in 2018. For him, the Real Estate business is all about taking advantage of each opportunity; this is the main reason why finding a system to help him stay organized and on top of each follow up was crucial. Prior to using OnePageCRM, Richard used stacks of business cards and spreadsheets to collect the information from his leads. When he went in search of a CRM he found it difficult to find a software which completely fulfilled the way he was prioritizing and organizing his contacts information. He was in serious need of a real contact relationship management tool to boost his sales and conversation rates and he found just that in OnePageCRM. With an extensive professional network and strong partnerships with property owner and investors, Perimeter Commercial Real Estate (PCRE) is a full-service commercial brokerage firm assisting tenants, buyers, landlords and sellers around the USA. For over 7 years, PCRE have been changing the real estate game by offering independent brokers and affiliated agents the ability to achieve extraordinary results in an increasingly competitive market. Part of PCRE commercial success comes from their experienced team of commercial real estate professionals. Committed to providing unparalleled personalized service along with the most exclusive real estate services available in the world, PCRE have the industry expertise and personal touch to fulfill any designed-build, development and property management needs. A major part of Richards sales process involves collecting lead information and phone numbers through third party vendors. He kick starts his follow up process by canvassing door to door and scheduling follow up’s as a result. However, as a busy realtor, it was very hard to keep track of everyone he’d called and prioritize all these follow ups. The stack of business cards on his desk was just not making the cut, he knew he needed a better system to help him get organized and improve his follow up process. Coming from an intense and experienced CRM search, Richard was very determined to find a CRM that would help him organize his contacts and sales in the easiest and most efficient way. After a few days of using OnePageCRM, he immediately saw how his primary concerns were being overcome. “I looked at least a dozen of other systems. 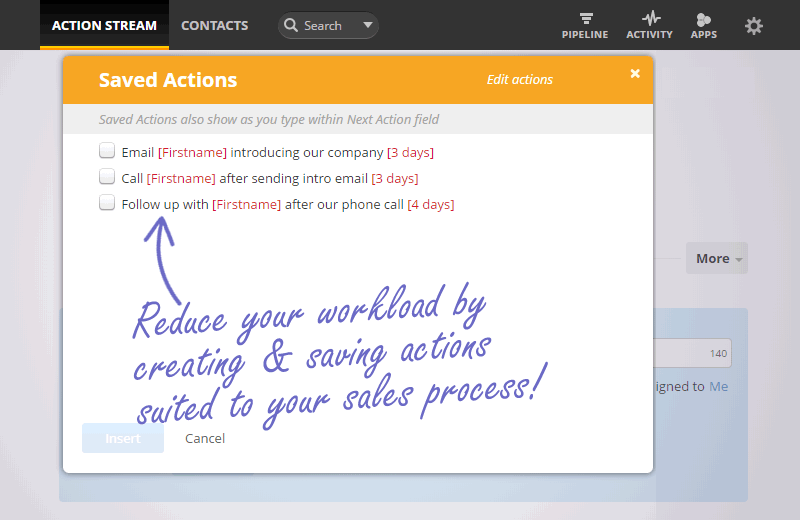 I’ve used Salesforce, Act, Pipedrive and Next Door among others. However, once I got hold of OnePageCRM, I was hooked immediately”. 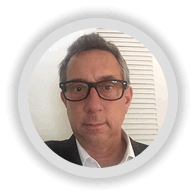 In order to streamline the follow up process, Richard started using OnePageCRM’s Saved Actions and has benefited immensely. He can easily create a set of tasks and quickly apply them all at once to his leads, making it easier for him to schedule those follow ups! 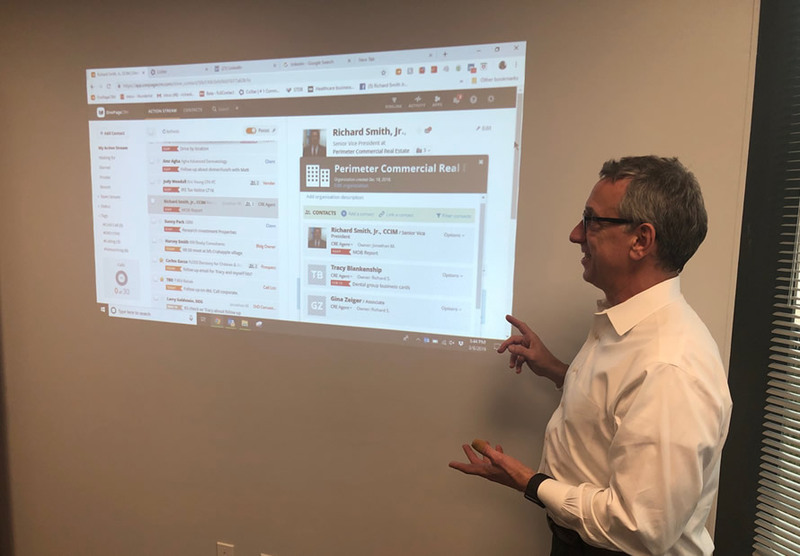 In order to better organize his sales, Richard is a deep advocate of collecting as much information as possible about a deal as it helps him to visualize the other partners involved. He uses Tags in OnePageCRM to log the external vendors involved in a deal, whether that’s the name of the referral; the attorney, architect or other brokers. They are all in one place and easily accessible. 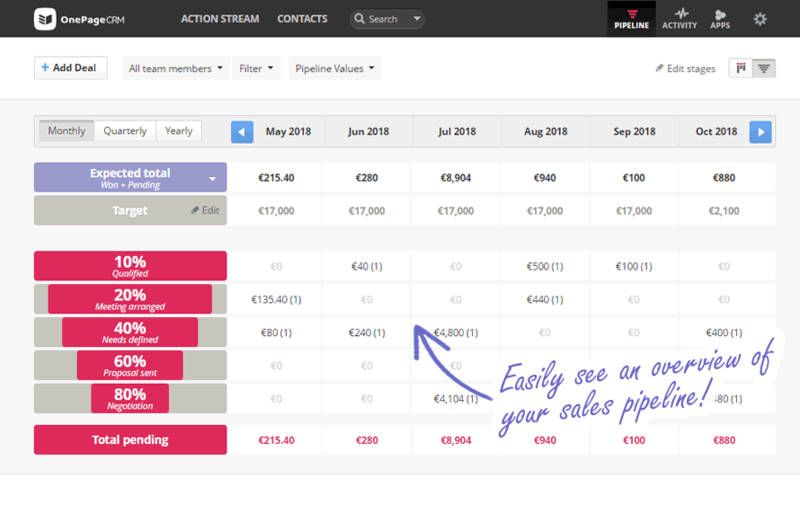 In addition to that, by accessing OnePageCRM’s Pipeline he gets better visibility of all his Deals and his expected revenue for the future in one main screen! The interactive Pipeline has helped him predict, motivate and close more Deals than ever before. “I use the Pipeline daily. I use the Kanban view and that’s brilliant as I can see all the details about my Deals and the Stages they’re at, it’s amazing!” He says. But the benefits didn’t stop there. At first, it was very time consuming to manage his contacts details as he had to manually add them to his CRM from Outlook. But now, by using OnePageCRM’s Outlook Contact Clipper he’s able to easily capture contacts information from an incoming email and add them to his OnePageCRM account in just one click! “Outlook is a great tool and I like the OnePageCRM Outlook Contact Clipper a lot as it helps me to easily populate the information from my contact once you get an email address” he explained. Richard couldn’t be happier with his decision to implement OnePageCRM. Since he started his journey with OnePageCRM, he’s experienced truly remarkable results. After only a few months of using OnePageCRM, he’s quadrupled his lead to opportunity conversion and his close rate is up by an impressive 50%. 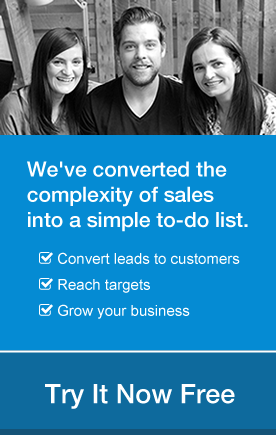 “What OnePageCRM has done for me is massive. It’s kept the deals in front of me and helped me with my follow up process so I follow up when I’m supposed to, it’s that simple”. He would definitely recommend OnePageCRM to any other Real Estate broker who wants to ramp up their proactivity, supercharge its contact management and organization skills. Richard has found the system very user-friendly and is impressed by the outstanding customer support, customizable fields and integrations with Outlook along with others to interact with his leads for the better. Not to mention the significant growth in his revenue. 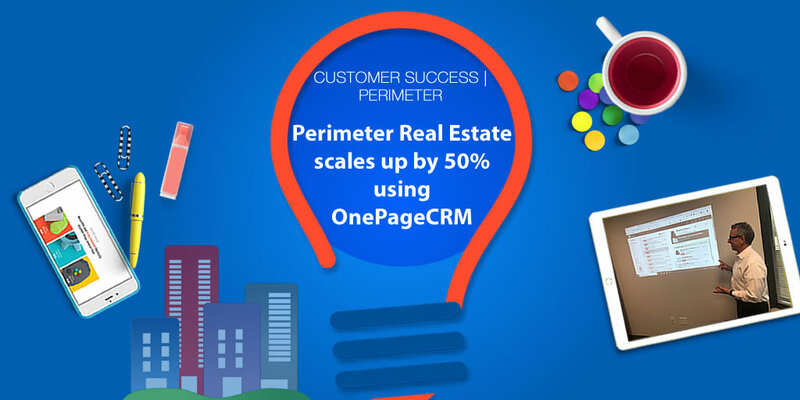 If you’re a professional Real Estate broker and want to know how to grow your business faster by building stronger customer relationships, get in touch by emailing larryc@onepagecrm.com or tweet us @OnePageCRM with #AskOnePageCRM. Coming from an extensive background in education and training, my main role as a Customer Success Executive is to help others be successful. I enjoy living a healthy lifestyle through a balanced physical and spiritual state of mind.